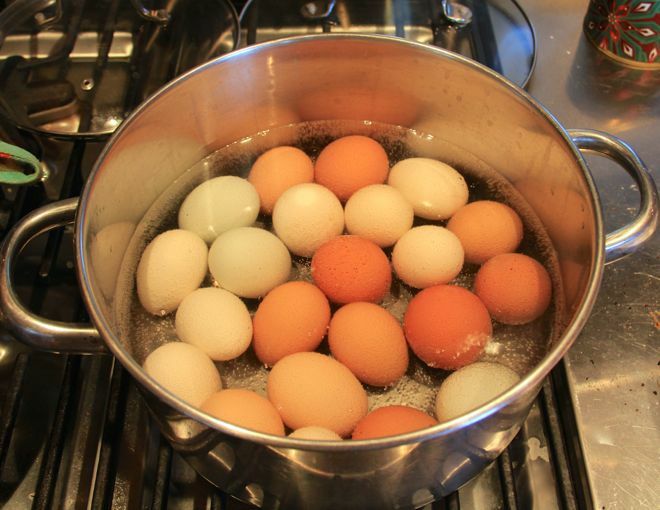 Another photograph to illustrate my endless fascination with egg sizes and comparisons. This stuff never gets old, people! Just look at those Über Jumbos in the back row. I am guessing those will be double yolks, for sure. And this is why we are selling eggs now. We have more than you see in this picture! 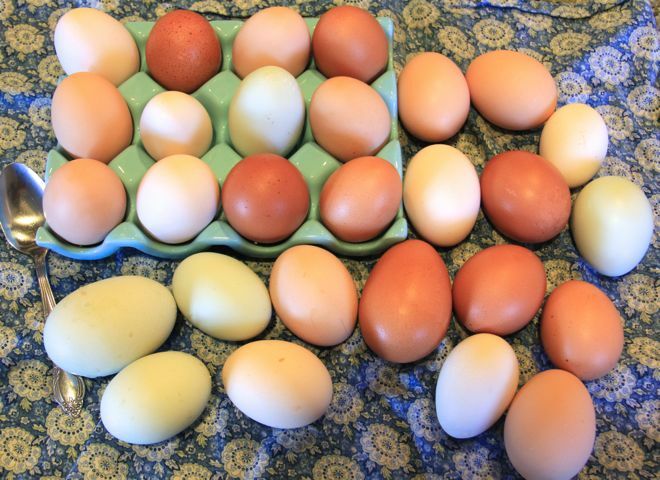 So, local friends: Six eggs for three dollars. 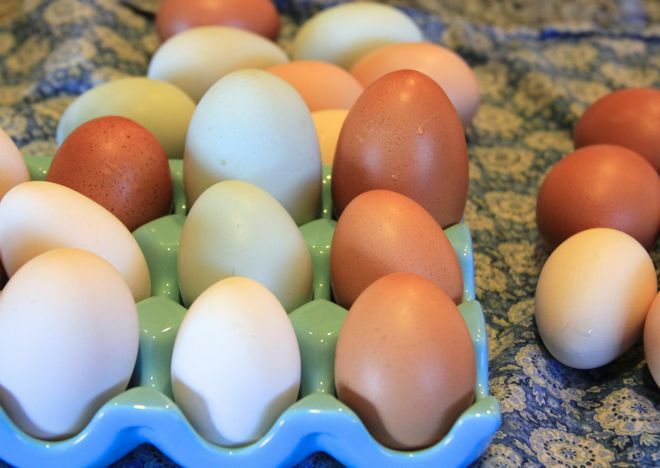 It's a good deal for fresh, local, and pretty eggs. We've had our very first customer, too! Anna Banana came by with an empty egg carton, and she left with a colorful dozen, including the brown jumbo, and two lemons from our tree. I tell you, I drive a hard bargain! I'd say I could open a little farm stand, and sell fresh fruit, veggies, eggs, baked goods... but until I can keep the chickens from free-ranging through the Swiss Chard, and digging up the spinach, I think we would struggle to keep much inventory. Here is a little green egg. 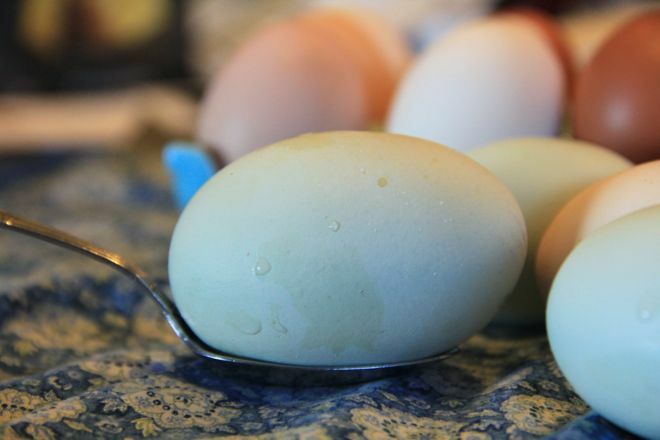 Here is the 2.3 ounce green egg. Über Jumbo. These are the extras, a few days older and being boiled for lunches, and egg salad. It's kind of a funny story, how we have so many hens, and so many eggs! I made a risky calculation. Every time I've ever bought chicks, even when they were "pullets," which guarantees a higher chance of getting hens over roosters... every time, I've managed to get roosters. Sunshine, Pip, Amelia, Edison, Zoltar, and more! Lots more. But this time I tried to outsmart fate. I didn't want to raise six chicks and only get three hens for my trouble, so I brought home lots of chicks, so that in the end, we would have about five or six new layers, plus our old hens who had stopped laying. I was very pleased with my brilliant plan. Can you guess what we got? What we got was no roosters! Not one! 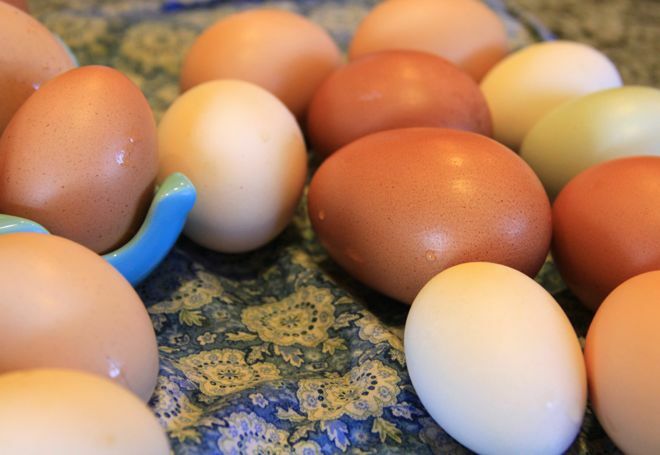 Every new chick grew into a big fat egg laying hen, and our old hens started laying again! 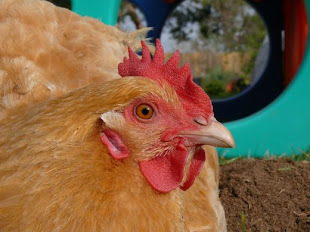 Instead of four or five eggs a day, we get anywhere from eight to ten fresh eggs, every day! Anna Banana just sent me a message: The double yolker was delish! I knew it would be a double! So, glad our first customer is a happy customer! 1. We are counting down to spring break for Max and Maria. 2. There is more rain in our forecast. 3. Anna Banana found, and enjoyed watching, the Christmas in Yellowstone Nature episode I was telling her about. 4. Geoff and I watched a movie, together, with a happy ending... that's sort of three for one! 5. Everyone got to school and work, with relatively little suffering or woe... not bad for a Monday morning. I hope your Monday is starting well, and finishing better. Share some good stuff? 1. Enjoyed my double-yolker from one of Natalie's big hens. 2. Making new month resolutions (LOL tomorrow is April Fool's Day, so maybe I'm fooling myself). 3. Planning, always planning...changes in the yard today. 4. Learning to live cooperatively with adult children. Sigh. 5. The weather. It is good. Almost always. If I lived closer, I'd be your happy customer, too! 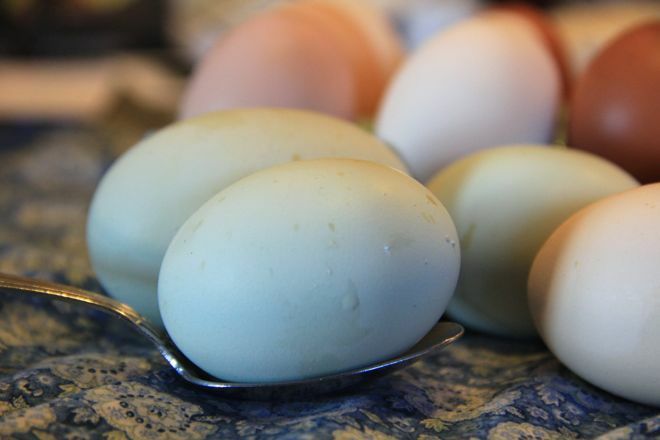 Have you thought of pickling some eggs to preserve them? 1. The spring garden is in and seems happy so far. 2. I have been a good Garden Mama and covered everything neatly for 3 nights of freezing...hopefully we've seen the last of Jack Frost! 3. The weather today is perfect, absolutely perfect. 4. Miss Chef and I shared a weekend together in Charleston, and brought the "together" feeling home. 5. Tonight I have the house to myself...plans for selfish tv watching and an extra early bedtime. 2. I think we may get some more chicks for Easter (I may need some advice on breeds). 3. The springtime weeds in that yard make it look like I have turf! 4. My mom is coming to visit for all of spring break! 5. We are having a few people over for Easter brunch. Does your bunch want to come to brunch? Bird House ~ Barn & Eggs!